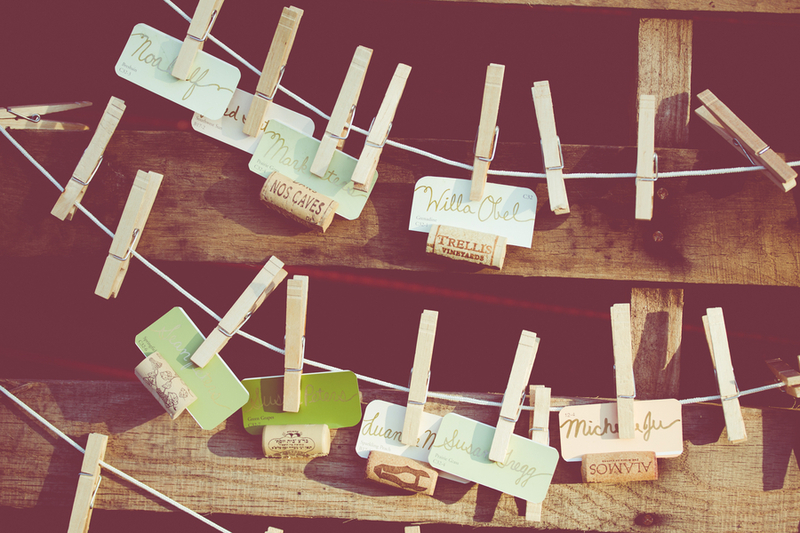 From the brides: Whenever wedding planning was overwhelming, we reminded ourselves that even if virtually EVERYTHING went wrong, we'd still say our vows and be married, so it'd be a success. Well, not only did we get married, but we a dream-come-true celebration, surrounded by the people we love the most. From the brides: Our wedding outfits were kept secret from each other until the wedding day, and in fact no one (except our tailor) had seen both the dresses up until that day. We decided to do a "first look" and we're so glad we did - seeing each other and having a moment alone before the ceremony was one of our favorite parts of the day. From the brides: We walked down the aisle and back up again to violin and viola tunes provided by two of Bonnie's former classmates from her time in music conservatory. 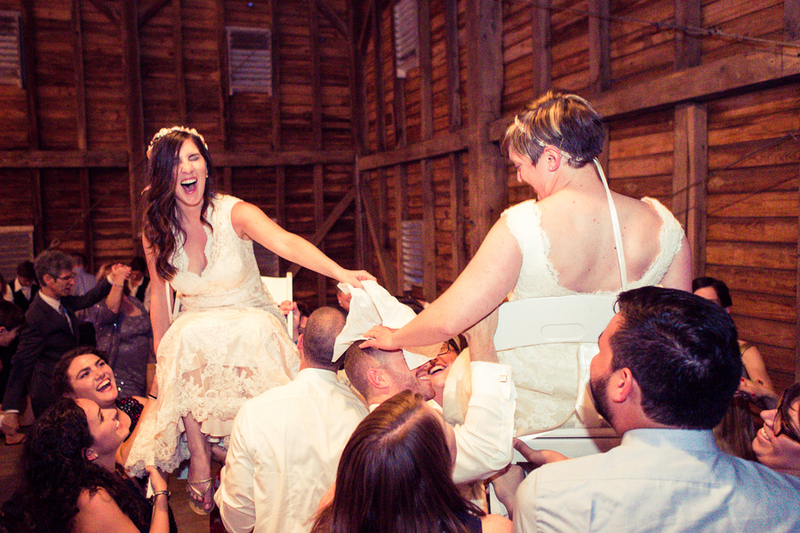 From the brides: The ceremony itself was officiated by a dear family friend. 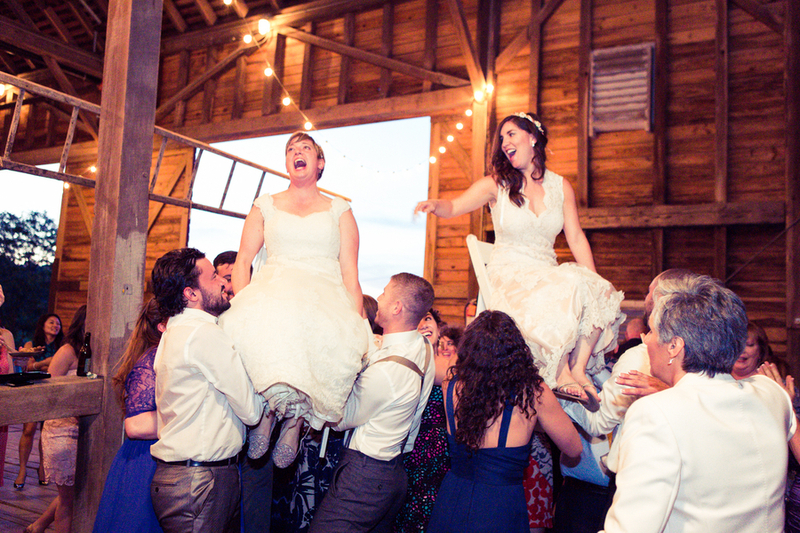 We worked hard with her in the months leading up to the wedding to make sure that every element of our ceremony was meaningful to us - we wanted to combine tradition that made sense to us with things that define us as individuals and as a couple. From the brides: We integrated pieces of each of our backgrounds into the ceremony, resulting in an awesome mash-up of both of our heritages and histories. 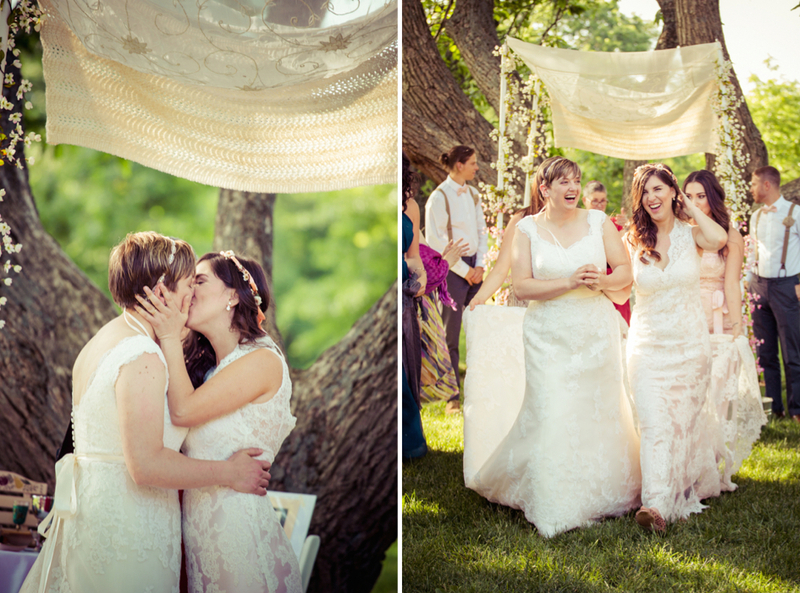 From the brides: We knew we wanted an outdoor wedding, someplace with lots of green space and off the beaten path. We fell in love with our venue the moment we saw it - the gravely path leading up to the gorgeous red barn, big trees and rolling green hills in every direction. We loved that it was a real, working farm, complete with goats, chickens and pigs, and that the space is a public park, accessible for anyone to visit. 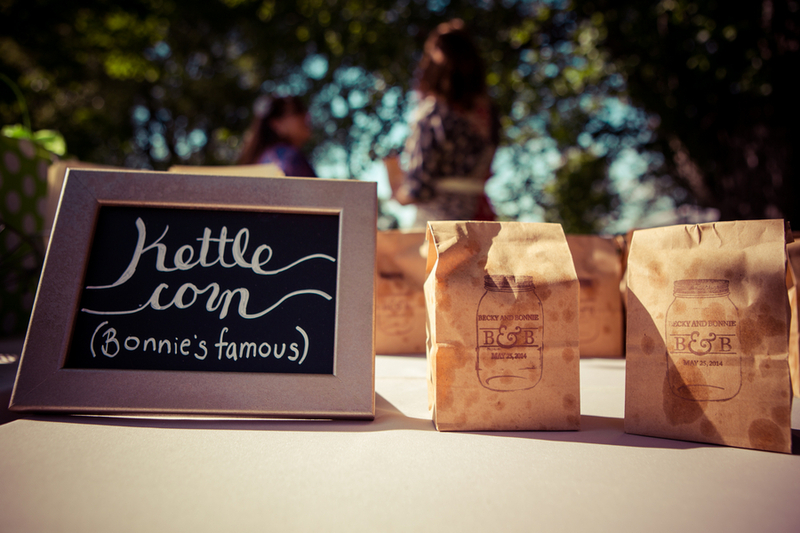 From the brides: The reception featured some of our favorite things (including Bonnie's homemade kettlecorn and mint lemonade, Becky's calligraphy, table markers made from vintage travel posters of places we'd traveled alone and together, and potted herbs in place of centerpieces). We handmade pretty much everything, and couldn't have been happier with how it all turned out. From the brides: Our menu was all-vegan, the beer was local to our two home-regions (the California Bay Area and the Mid-Atlantic) and our pies were handmade by family.